Call for papers for the 27th Annual International Conference on Virginia Woolf. Posted 1 September 2016 The deadline has been extended to Feb. 8. The International Virginia Woolf Society is pleased to host its eleventh consecutive panel at the University of Louisville Conference on Literature and Culture Since 1900, scheduled for Feb. 23-25, 2012. This year marks the 40th anniversary of the Louisville conference. We invite proposals for critical papers on any topic concerning Woolf studies. A particular panel theme may be chosen depending on the proposals received. Please submit by email a cover page with your name, email address, mailing address, phone number, professional affiliation (if any), and the title of your paper, and a second anonymous page containing a 250-word paper proposal to Kristin Czarnecki (kristin_czarnecki@georgetowncollege.edu) by Friday, Sept. 16, 2011. Jane Wood has published The Theme of Peace and War in Virginia Woolf’s War Writings (2010) and What Eve Didn’t Tell Us (2002), a collection of autobiographical essays with co-author Rev. Sue Dolquist. During her stay at Pomona, Clark taught courses covering a broad range of subjects, from modern, post-modern, and environmental literature to specialized classes on Chaucer, TS Eliot, and Virginia Woolf. Auto/biography is the theme for the Spring 2011 edition of the Virginia Woolf Miscellany, the bi-annual journal focusing on Woolf studies and related topics. The copy deadline is Aug. 31. Get more details. The European Journal of English Studies has issued a call for papers on the topic of contemporary gender resistance to be published in volume 16. Guest editors for the special issue, which will be published by Routledge in 2012, are Eugenia Sifaki and Angeliki Spiropoulou. Woolf Studies Annual now accepts submissions at woolfstudiesannual@gmail.com. Below are new submission guidelines as published in Volume 15 of the publication, which came out this year. Woolf Studies Annual, edited by Mark Hussey, invites articles on the work and life of Virginia Woolf and her milieu. The annual intends to represent the breadth and eclecticism of critical approaches to Woolf, and particularly welcomes new perspectives and contexts of inquiry. Articles discussing relations between Woolf and other writers and artists are also welcome. Articles are sent for review anonymously to a member of the editorial board and at least one other reader. Manuscripts should not be under consideration elsewhere or have been previously published. It is strongly advised that those submitting work to the publication be familiar with the journal’s content. Among criteria on which evaluation of submissions depends are whether an article demonstrates familiarity with scholarship already published in the field, whether the article is written clearly and effectively, and whether it makes a genuine contribution to Woolf studies. Articles are typically between 25 and 30 pages, and do not exceed 8000 words. Inquiries about significantly shorter or longer submissions should be sent to the Editor at woolfstudiesannual@gmail.com. A separate page should include the article’s title, author’s name, address, phone, and email address. The author’s name and any other identifying references should not appear on the manuscript to preserve anonymity for our readers. All submissions must include an abstract of no more than 250 words. Manuscripts should conform to the most recent MLA style. Submissions may be sent either by email to woolfstudiesannual@gmail.com or by mail to Mark Hussey, English Dept., Pace University, One Pace Plaza, New York NY 10038. For email submissions ONE hardcopy must also be mailed; for mailed submissions, please send three copies of the article and abstract. Authors of accepted manuscripts are responsible for any necessary permissions fees and for securing any necessary permissions. All editorial inquiries should be addressed to woolfstudiesannual@gmail.com. Inquiries concerning orders, advertising, reviews, etc. should be addressed to PaceUP@pace.edu. The complete English archive is now online. To celebrate the new online version of the English archive, the journal is offering 25 free article highlights from throughout the journal’s 73-year history. The selection includes articles from the inaugural issue in 1936, right up to the current volume. Visit http://www.oxfordjournals.org/page/3629/1 to view the list of article highlights and access them free online. The Oxford Journals Archive: A current subscription to English includes access to all articles dating back to 1996. The English archive prior to 1996 is available to purchase as part of the Oxford Journals Archive. Visit http://www.oxfordjournals.org/page/3629/5 for further details. Read free issue online: Download the sample issue from 2008 at http://www.oxfordjournals.org/page/3629/6. Stephen Barber, University of Rhode Island English professor and department chair, expects to publish a book titled Departures: Late Woolf in spring 2010. The book focuses on the last decade of Woolf’s life. Barber spent two summers studying Woolf’s manuscripts in New York and England in preparation. A commentary from VWoolf Listserv participant Rich Mansfield, M.D., that explores PTSD in Mrs. Dalloway and compares how it is handled in the current medical system to that of Woolf’s day was published in the March 2010 edition of Academic Medicine (85: 3). The excerpt is on p. 497, and the commentary is on pg. 496. Mansfield is a primary care physician with Veterans Affairs in White River Junction, Vt.
Jane Wood, Ph.D., has been appointed interim dean of Park University’s College of Liberal Arts and Sciences, effective July 1. Wood previously served the University as an associate professor of English and department chair. Read more. Senior English majors Lyndsey Morris and Laura Reyome were part of a Woolf and the City panel discussion, “Exhibiting Virginia Woolf’s Urban Affiliations: An Undergraduate Research Project at Alfred University,” along with Dr. Robert Reginio, assistant professor of English in the College of Liberal Arts & Sciences at Alfred University in Alfred, N.Y. Read more about their presentation. “The Artist/Intellectual as Politician,” a critical essay written by Virginia Brackett, Ph.D., associate professor of English and director of the Honors Program at Park University, has been published in Woolf Editing/Editing Woolf: Selected Papers from the Eighteenth Annual Conference on Virginia Woolf. The essay examines a lack of self-confidence and resulting artistic insecurity on Woolf’s part that caused her to produce failed projects, such as her biography of post-Impressionist artist and fellow Bloomsbury member Roger Fry. However, writing without an editor and unfettered by public input or opinion, she regained her successful approach to produce a “new biography” in her private correspondence. Natania Rosenfeld, author of Outsiders Together: Virginia and Leonard Woolf, has been awarded a four-week residency fellowship in Wyoming this summer. Read more. Wilmington native Mary Ann Caws has been elected as a fellow of the American Academy of Arts and Sciences. She is the author of Virginia Woolf (Ilustrated Lives), Penguin, 2001; Overlook, 2002 and Women of Bloomsbury: Virginia, Vanessa, and Carrington, Routledge & Kegan Paul, 1990. Read more about Caws. Carol Long, dean of the College of Liberal Arts at Willamette University, will assume the position of Geneseo’s provost on July 1, 2009. Her variety of teaching areas include modernist literature of Britain and America and specific studies on Virginia Woolf. Read more. 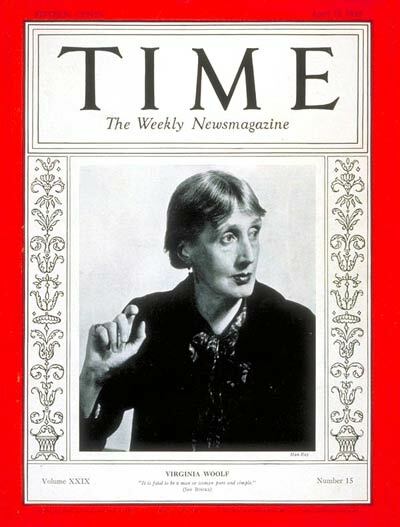 Take a look at Blogging Woolf’s new Book Page, where news about old and new books about Virginia Woolf and her circle are posted and regularly updated. Books from Cecil Woolf Publishers, including the Bloomsbury Heritage Series and the War Poets Series, are listed. If you have one or all of the above, please send them via e-mail. This blog – “News Blogging Woolf” was… how do you say it? Relevant!! Finally I have found something that helped me. Thank you! I wish to submit sample chapters from the fictional biography of the Buddha written by my professor for evaluation and acceptance . kindly mail the email address of your company & oblige. Readers might be interested to know that as an independent bookseller specialising ONLY in Woolf and The Bloomsbury Group, and having spent over 20 years of (largely unacknowledged) commerce between myself and readers, book trade and a good many Institutions, that I – practically ignored by all but my faithful customers and never afforded an acknowledgement of my existence (this, despite helping financially to establish the VWSGB in 1998) – have now sold all of my stock in trade – numbering 3,500-4,000 books on or about Woolf or Bloomsbury – to a multi-millionaire patron of the arts and respected author. My “normal service” is to be renewed in the coming month with a 60-page A4 catalogue of new acquisitions – including two books hand-bound by Woolf for Quentin Bell and several dustwrappered books unseen by the “Bibliographers” along with completely un-noted editions of her work. Doubtless many collectors will be interested, so please e-mail me at woolfbooks@hotmail.co.uk and grab a catalogue. It costs a £ 5 note or $ 10 note but refundable against any purchase. Prices from £ 5 to £ 60,000. Yours, from the darkest backwaters of Lancing, Sussex (actually Cokeham, Sompting, Lancing..).